Psalm singing is the practice of singing through the 150 Psalms in the Bible during formal and informal times of worship at Anugraha RP church. In the New Testament, the Apostle Paul encourages the church to sing psalms to one another (Colossians 3:16 and Ephesians 5:19). By singing the Psalms, the word of Christ dwells in us richly. If you would like to experience the joy of singing Psalms to one another during corporate worship, please visit us! Below are a few resources to help you sing the Psalms in your daily worship. 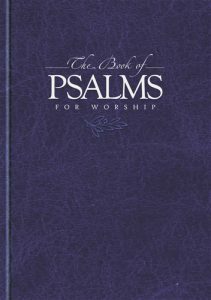 The Book of Psalms for Worship is the book that Anugraha RP church uses to sing psalms to God in worship. This book contains all one-hundred and fifty psalms in a singable format. This book is currently not available in India. However, you may contact us if you are interested in procuring a copy for yourself or for your church. You may also be pleased to know that this book is available digitally on Android, Windows, and IOS platforms. These apps provide the complete text of each psalm selection and also the tunes (in an audible format). These apps are an inexpensive and valuable resource for anyone interested in singing the Psalms. Many of the psalm selections in this book have been set to familiar hymn tunes. So if you are from a hymn-singing church, and you own this book or one of the apps, you can sing as many as fifty psalms right away! What are you waiting for? Sing the psalms and make melody to the Lord in your heart (Ephesians 5:19)! Singing the Songs of Jesus is a helpful little book written to encourage Christians to sing the Psalms. The author of this book winsomely unpacks the theology of the Psalms. He helps Christians understand how the Psalms are different from all other human compositions and how the Psalms help Christians express their every emotion to God in an honourable and acceptable way. 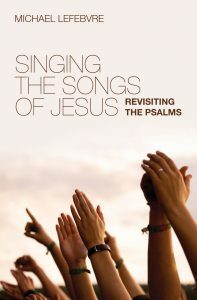 This little devotional read will help you to deeply appreciate the beauty of singing the Psalms. Psalter.org is a website which contains the tunes of all the Psalms in The Book of Psalms for Worship. This site is a treat for a capella singers who wish to pick up the four parts of the entire Book of Psalms for Worship. If you cannot afford The Book of Psalms for Worship, you can download this free app which is available on all common platforms. A split-leaf psalter helps you to sing all one-hundred and fifty psalms with only a few tunes. In fact, you can sing all the psalms in the 1650 psalter if you know the tune of the great hymn, Amazing Grace. Seedbed is another great website which helps Christians to sing psalms. Tunes for all one-hundred and fifty psalms are available on this site.